The Cretaceous geological evolution of the Canadian Arctic was marked by voluminous magmatism comprising Canada’s portion of the High Arctic large igneous province (HALIP) that is thought to have resulted from a mantle plume head. This magmatism is largely recorded as extensive Early Cretaceous lavas of the Isachsen Formation, Late Cretaceous continental flood basalts of the Strand Fiord Formation, and an extensive network of dykes and sills forming their plumbing systems. Axel Heiberg Island near South Fiord contains a small, structurally complex portion of the overall network of HALIP tabular intrusions, from which samples from the South Fiord intrusions and Isachsen Formation basaltic lavas were analysed to better understand their petrogenesis. Specifically, we apply trace-element ratios together with Sm–Nd isotope systematics in order to identify processes that shaped the chemical evolution of the South Fiord intrusions and Isachsen Formation lavas, to identify (1) mantle source chemistries and (2) the role of crustal assimilation. 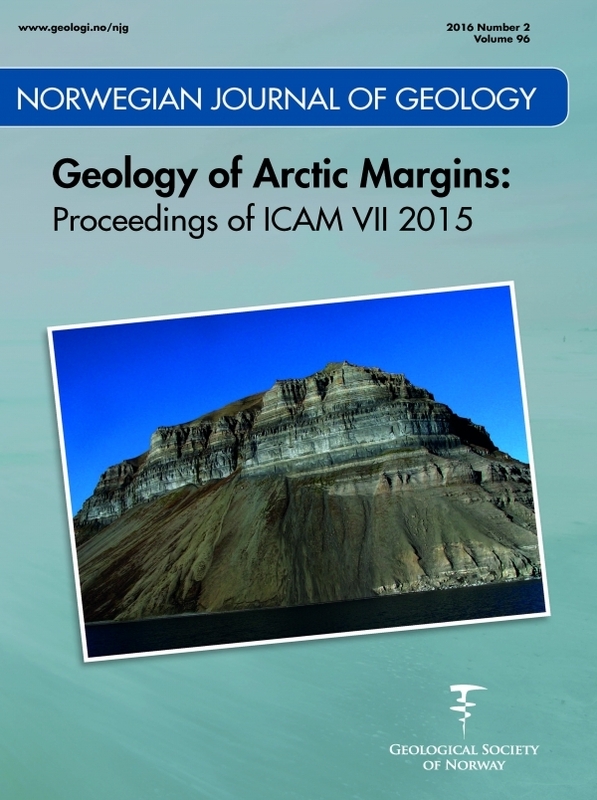 On the basis of Sm–Nd isotopic results, South Fiord intrusion magmas were derived from a homogeneous mantle source whereas a more heterogeneous source is invoked for the Isachsen Formation lavas. Furthermore, modelling with Th/ La, Nb/U, Ba/Th and Ba/Nb suggests that South Fiord intrusive magmatism was contaminated by sedimentary rocks from the Sverdrup Basin. Conversely, a trend towards high Ba/Th in Isachsen Formation lavas suggests a subducted sediment component derived from extinct subduction zones. We surmise that (1) South Fiord intrusive rocks are geochemically distinct from the Isachsen Formation lavas and (2) the HALIP mantle plume head intersected and incorporated sediments from ancestral subduction zones to the present-day Aleutian and Alaska subduction zones to produce the Isachsen Formation flows, whereas the South Fiord intrusions (and correlated Strand Fiord magmatism) were generated from plume material that interacted with upper crustal sedimentary rocks.